***ONLY Limited Quantities left in stock!!!! 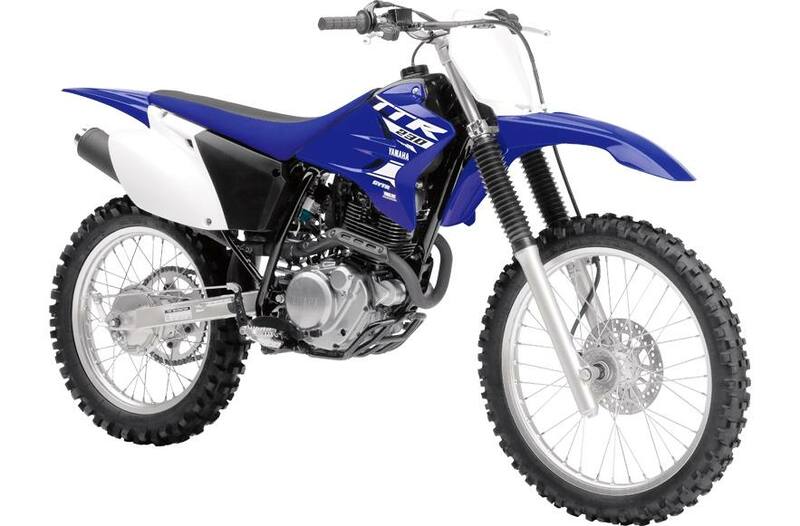 Power: Peppy, air-cooled, 223cc, SOHC, 2-valve, 4-stroke powerplant produces predictable power aimed at easing both beginner and intermediate riders into the fun and excitement of off-road riding. Frame: Diamond-type steel frame features a compact, 1385mm (54.5") wheelbase to ensure superb maneuverability and responsive handling. Teikei Y26P carburetor: crisp throttle response & good fuel economy; carb mounted choke; carb features "electroless" nickel plating on the valve seat & a stainless steel needle valve screw to offset the effects of E10 fuel (10% ethanol fuel). Durable fork boots ensure excellent fork seal and stanchion tube protection: adjusts for spring preload (threaded type... 12 mm of adjustability) allowing the rider to tailor suspension to rider weight and terrain. ; delivers smooth, progressive suspension performance. Monocross link single shock rear suspension offers 220 mm (8.7") of wheel travel: adjusts for spring preload (threaded type... 12 mm of adjustability) allowing the rider to tailor suspension to rider weight and terrain. ; delivers smooth, progressive suspension performance. Front 220 mm disc with twin piston caliper ensures fast, fade-free stopping power: reduces unsprung weight for great suspension & handling performance; knobby tires provide excellent traction in the dirt. 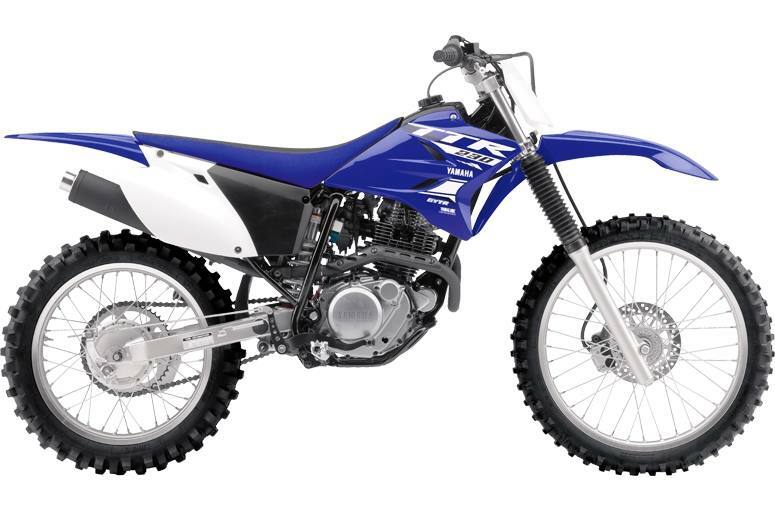 21" front and 18" rear aluminum rims & knobby tires: reduces unsprung weight for great suspension & handling performance; knobby tires provide excellent traction in the dirt. Rear drum brake with easy-to-use wing nut adjuster: reduces unsprung weight for great suspension & handling performance; knobby tires provide excellent traction in the dirt. 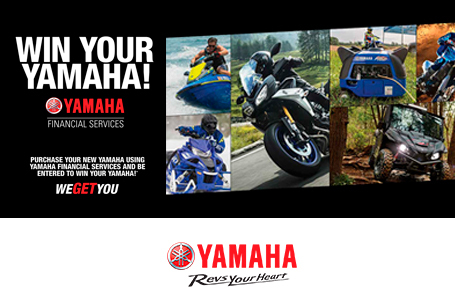 Team Yamaha-inspired colour & graphics. Handlebar mounted push button ignition switch with red indicator light when power is active.